Get 10,000 bonus miles when you spend a minimum of $2,000 for 3 consecutive months upon card approval. Apply by 31 Jan 2019. The DBS Altitude suite of cards were my very first general spending air miles earning credit card. Back in its heyday, it was offering an insane sign-up bonus of 12,000 bonus miles for spending just S$800. The last sign up bonus that was offered to customers who signed up for the DBS Altitude card was back in November 2016. It has been almost two whole years since we last saw a sign-up bonus offer from DBS for its Altitude product. 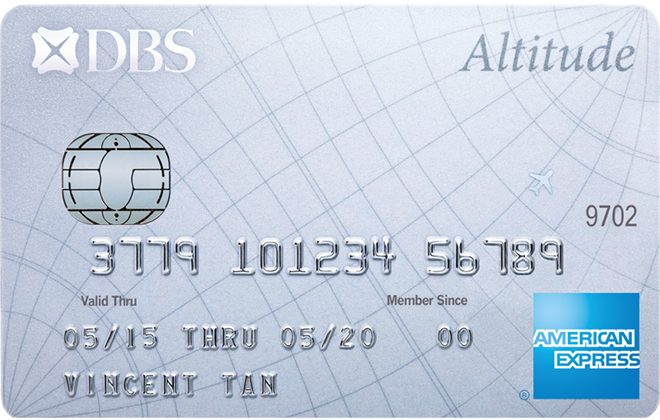 DBS is finally offering a sign-up bonus for its DBS Altitude credit card again, specifically for its DBS Altitude American Express credit card. This offer is only valid to new applicants of the DBS Altitude AmEx credit card or those who have cancelled their cards more than 12 months ago. You must apply for the card via Internet Banking, digibank or the DBS website from 1 September 2018 to 31 January 2019 to be eligible for the sign-up bonus. As per their terms and conditions, you must not receive any sales assistance in the process of applying of this card to qualify for the sign-up bonus. Which means that the entire process of card application must be done by you only. To trigger the 10,000 bonus miles sign up bonus, you must clock a minimum of S$2,000 per month on qualifying transactions for 3 consecutive months from the date of card approval. You’ll be glad to know that recurring bill payments are considered as qualifying spend towards the sign-up bonus. Note that the 10,000 bonus miles will be credited in the form of 5,000 DBS Points approximately 150 days from the date of card approval should you meet the qualifying spend requirements. 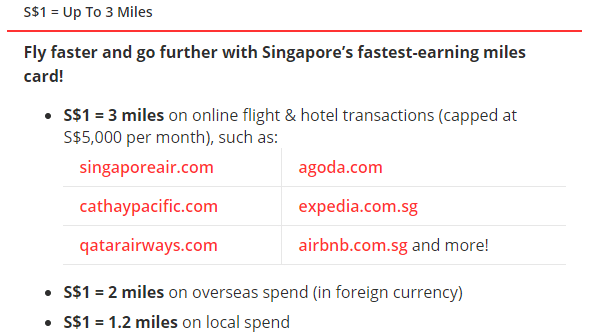 DBS Points can be converted to either AirAsia BIG Points, KrisFlyer miles, or Asia Miles and each conversion of DBS Points to miles carries a fee of S$25 (before GST). The annual fee for the DBS Altitude AmEx card is S$192.60 per year and you will receive 10,000 miles(5,000 DBS Points) for payment of the annual fee. Unlike the current offer from Citibank, this sign-up bonus offer from DBS does not require the payment of the annual fee when you first get the card. This makes it a much more competitive offer than the one which is being offered by Citibank which only offers a true sign-up bonus of 11,000 miles for clocking a minimum spend of S$7,500 within the first 3 months from card approval. What other benefits do I get with the DBS Altitude AmEx? Unlike its Visa brother, the DBS Altitude AmEx card does not come with complimentary Priority Pass membership which comes with two free lounge passes. You will still get the other Altitude privileges such as the complimentary travel insurance and access to the Altitude Butler service. In addition, you will still be earning miles at an accelerated rate at merchants such as Expedia, Kaligo and Mileslife with the DBS Altitude AmEx. Should I get this card for the sign-up bonus? Most definitely yes. Especially if you’re looking at kickstarting your miles journey. Sign-up bonus offers are hard to come by, especially from DBS. We know that American Express has been consistently pushing its KrisFlyer co-brand cards with decent sign-up bonus offers, but the cons of the KrisFlyer co-brand cards are that all your miles have a 3-year rolling expiry date since it’s credited directly to your KrisFlyer account every month. Whereas for the DBS Altitude AmEx, your DBS Points never expire for as long as you hold the card. In addition, DBS Points pool together with all other DBS Points earning credit cards. So you will never have the issue of having orphan miles stuck in this card should you decide to sock drawer it after hitting the sign-up bonus. If you are planning to get this card and or already own an Altitude Visa card, remember to sign up for the DBS Suites Life promotion. For every S$500 spend, you’ll earn up to 5X chances to win yourself a pair of Singapore Airlines Suites tickets. It’s great to see that DBS is once again offering a sign-up bonus for its DBS Altitude product, albeit it only being available for the AmEx variant. Unlike yesteryears, AmEx is widely accepted at most merchants in Singapore now and even on online merchants such as Lazada, Qoo10 and Redmart. With this new offer from DBS, I would recommend signing up for the DBS Altitude AmEx card if you currently don’t hold the card to take advantage of its sign-up offer. The effective earn rate is 2.86mpd ((6000*1.2)+10000)/6000). This is assuming all 6k is local spend. That’s not great given the many 4mpd earning opportunities with the UOB cards, etc. Amex Krisflyer’s current sign on bonus is better – hitting their thresholds (2k+3k) for getting the bonus miles gives you upwards of 4mpd. 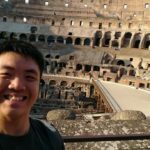 Question though regarding the annual fee that rewards 10,000 miles, if I already hold the Altitude Visa, and now Altitude Amex – if I pay both cards annual fees, do I get 20,000 miles? Wondering if I am still entitled to this 10,000 sign up promo if I currently hold a DBS Altitude Visa card?